SEEME-04In order to experience the ultimate in exclusivity, travelers should consider accommodations such as Luxury Mountain Rentals at Steamboat Lodging. This type of lodging option greatly surpasses a long stay at a standard hotel. Unlike traditional accommodations, most vacation rentals are equipped with far more amenities including plenty of space, unprecedented privacy, and enhanced comforts. Here are the top four benefits of staying at a premium vacation house. While the average hotel room in North America is roughly 400 square feet, vacation rental properties can span as much as 2,000 square feet. As a result, vacation rental homes can easily accommodate large families and other big groups. Premium resorts like Steamboat Lodging in Steamboat Springs, Colorado often feature spacious lodging options that have as many as four rooms and nine bathrooms. Additionally, most Luxury Mountain Rentals offer guests expansive kitchens, separate living rooms, private patios/decks, entertainment rooms, and more. Conversely, traditional hotels are usually limited to single and double occupancy rooms or separate bedrooms with a pull-out couch. Since most vacation homes usually encompass spacious living quarters, this type of luxury lodging enables guests to escape the noise and chaos of traditional accommodations where listening to other guests sing in the shower, march the stairs, and communicate loudly are the norm. For those who are planning a lovers’ getaway, hotels can also be a difficult place to kindle a romance. Alternatively, vacation rentals can offer private balconies, entrances, pools, and even BBQ grills so that guests can truly enjoy their stay in peace. Many vacation rentals offer extremely convenient amenities such as a fully equipped kitchen, laundry room, customer service, and entertainment options. Luxury Mountain Rentals can also encompass comfy beds, fast internet, televisions, and more. Most vacation rentals are designed to be a home-away-from-home. In fact, many luxury resort-styled rentals provide onsite and/or in-room convenience that outshines even the most exclusive hotels. From a stock refrigerator and comfortable living room to nearby spas and five-star restaurants, vacation rentals can offer all the comforts of home. 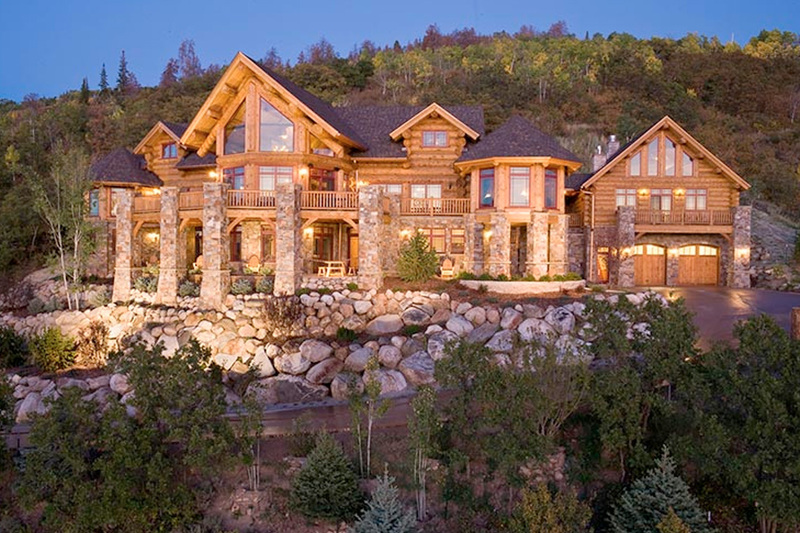 Most travelers are sure to save a lot of money by lodging in a Luxury Mountain Rental. Vacation rentals are usually less expensive than a traditional hotel, especially when booking a longer stay. Some experts estimate that the average vacation home is 50 percent less expensive per square foot than a traditional hotel. Because many vacation homes contain fully equipped kitchens, one easy way that guests can save money is by preparing their own meals. Additionally, the extra space that the lodging provides presents travelers with the opportunity to save even more money by splitting the accommodation costs with close family and friends.